With the launch of end-to-end e-commerce platform Kinofy, local brands can now easily enter the Chinese retail market that’s worth US$4.7B. According to the company, Kinofy was founded in response to the rapid increase of mobile commerce in China in recent years. Developed in partnership with government agencies, it offers an eight-step programme to help support the entry of merchants into China. This includes business advisory, product registration, logistics, warehousing, and mobile commerce store creation. Built on the WeChat platform, it allows companies to establish their own shop on the messaging platform, giving them access to more than 1 billion shoppers. This significantly shortens the time-to-market for these foreign brands, reducing the usual one to two years, to only 2.5 months. Kinofy CEO and co-founder, Kawee Chong, told The Straits Times that it traditionally costs foreign brands over S$300,000 to set up in China, including the cost of warehousing. This cost will be reduced to a yearly subscription fee of S$36,000 through the platform, he added. Local companies will also enjoy a 70 per cent subsidy for their first year subscription to Kinofy through the SkillsFuture Singapore grant. Additionally, a three-day training course will be provided for subscribers where local merchants will be familiarised with China’s economic landscape and ecosystem. Kinofy also offers warehousing and logistic solutions at the Ningbo Free Trade Zone (NFTZ) to provide businesses the right infrastructure to reach out to China’s 613 cities. Kinofy’s parent company – Kino Biotech, a health and beauty company – had attempted to enter the Chinese market back in 2007, but they noted tremendous challenges such as issues with product registration regulations. 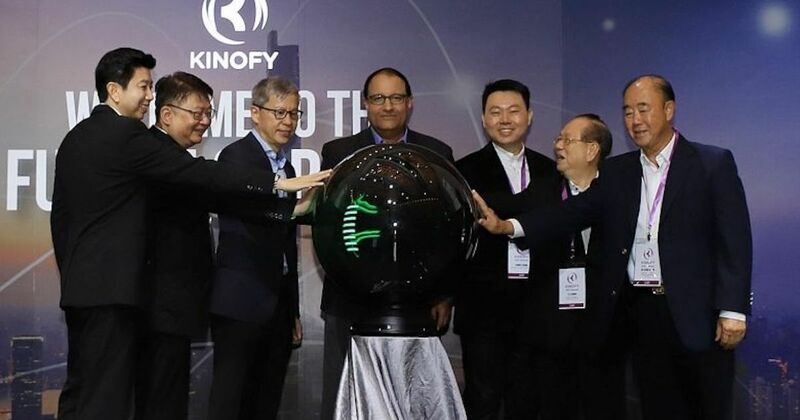 Tapping on their experience with the Chinese market over the years, Kinofy was created to ease other Singaporean companies’ entry into the market. Less than 50 brands are already on the Kinofy platform, including Kinohimitsu, Esthemedica and Naturext, said Kinofy Group. One of the Singaporean companies that used a beta version of Kinofy – International Advanced BIO-Pharmaceutical Industries (IABPI) – said that it has helped ease the process for the company to enter China, especially with regards to the legalities involved. “As a small company, it would have been impossible for us to do something like this on our own,” said CEO of IABPI. Currently, Kinofy is focusing on bringing international brands to China, but Mr Chong said that there are plans to expand the platform to bring Chinese brands into Singapore and other international markets, particularly in Southeast Asia.